Fired FBI Director James Comey drafted a statement to announce the conclusion in the investigation of Hillary Clinton's use of a private email server before the FBI interviewed key witnesses, including Hillary Clinton herself, top Republicans on the Senate Judiciary Committee claim. Committee chairman Chuck Grassley, R-Iowa, and Lindsey Graham, R-South Carolina, reached that conclusion from transcripts of interviews with people close to Comey and provided by the Department of Justice's Office of Special Counsel (OSC). Those transcripts, the Republicans said in a Thursday letter to current FBI Director Chris Wray, show Comey had already drafted a conclusion for his investigation before interviewing 17 key witnesses, including Clinton, and before the DOJ had reached immunity agreements with former Clinton aides Cheryl Mills and Heather Samuelson. 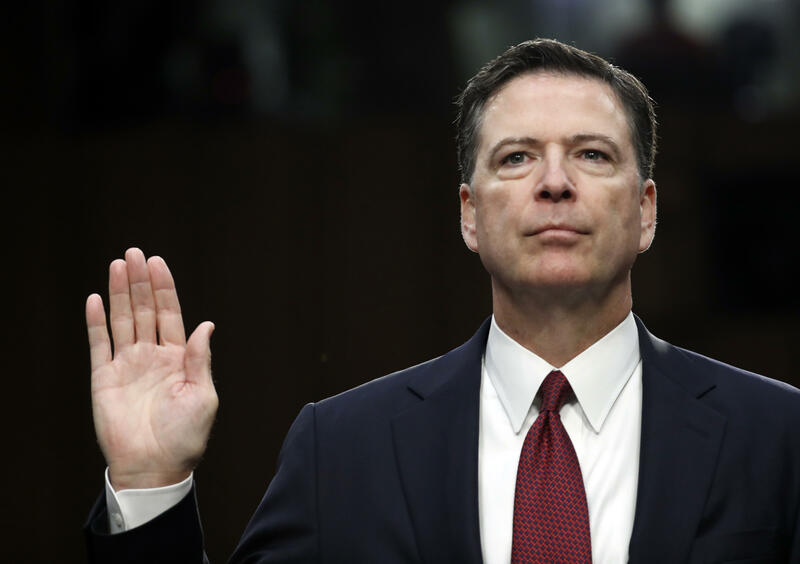 Comey's sudden July 5 announcement that there would be no charges in the Clinton investigation -- despite his sharp criticisms of the former presidential candidate -- threw a wrench in an already-tumultuous election cycle. "Conclusion first, fact-gathering second—that's no way to run an investigation," the senators said in their letter to Wray. "The FBI should be held to a higher standard than that, especially in a matter of such great public interest and controversy." The letter said OSC attorneys interviewed James Rybicki, Comey's chief of staff, and Trisha Anderson, the Principal Deputy General Counsel of National Security and Cyberlaw, as a part of an investigation into whether Comey's July 5 announcement violated the Hatch Act governing government officials' political activity. OSC dropped the probe when Comey was fired. The Republicans' letter included parts of the texts of the transcripts. "The idea, I'm not entirely sure exactly when the idea of the public statement um first emerged," the interviewee said. "Um it was, I just, I can't put a precise timeframe on it um but [redaction]. And then I believe it was in early May of 2016 that the director himself wrote a draft of that statement …"
The FBI didn't interview Clinton until July 2, three days before Comey went on national television to announce there would be no charges against Clinton. Grassley and Graham asked Wray for all drafts of Comey's statement about the Clinton email probe, as well as all communications about the statement within the FBI. "We received the letter. In keeping with our normal process, any response will be provided to the members of Congress who made the request." The DOJ's Office of Inspector General is independently investigating Comey's handling of the Clinton email investigation. The White House originally said President Trump fired Comey over his mishandling of the Clinton email investigation, although Mr. Trump told NBC News that when he decided to fire Comey, he thought of the "made-up" Russia story about any ties between him and Russia.